PWDA has, once again, invested heavily in new state-of-the-art technology for our patients! With our brand new, low exposure 3D CT scanner, we are able to offer the safest, most conservative and thorough evaluation of the serious issues of snoring, sleep disordered breathing and sleep apnea. 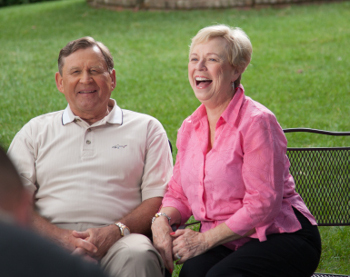 Additionally, our upgrades in technology and the extensive education needed to master the technology allows us the opportunity to streamline our process of planning our many full mouth and partial reconstructions of missing teeth with dental implants. Do you have a tooth or teeth missing? Are you reluctant to go out with friends or get your photo taken? If so, you may benefit having dental implants. Dental implants are a revolutionary procedure that can not only give you your smile back, but may even change your life. Dental implants give you a “new” tooth root and tooth, which completes your smile and gives you the confidence to smile, laugh and be around people again! Dental implants are artificial tooth supports which are used to replace any number of missing teeth in combination with dental crowns, dental bridges or dentures. Adults who have healthy gums and adequate bone to support a dental implant may be candidates for implant dentistry. Even those who don’t have adequate bone to support dental implants can become good candidates for dental implants through a variety of reconstructive procedures offered at Port Warwick Dental Arts. In the past, months of healing time was required after receiving dental implants, but advancements in dental implant technology have reduced healing time from months to weeks. And in many cases, dental implants can be completely restored immediately. Dental implant patients have their smile restored in a way that not only looks great but also feels natural. Learn more about dental implants with an implant dentistry evaluation with Dr. Lisa Marie Samaha. Contact our Newport News implant dentistry office today or fill out the form on this page. Dr. Samaha is experienced in implant dentistry and is happy to discuss dental implant procedures and determine if dental implants are a solution for your situation.